There are so many innovative initiatives happening around the globe to promote a greener way of living to help combat climate change. Recently we looked at how real-life mermaids are championing climate change action. Now there is a new artwork enterprise taking off in Fiji with that same aim. To celebrate Fiji Day at the start of October 2017, the Fiji National Provident Fund hosted an art display of over 100 pieces with the overarching theme of climate change. Creativity is key when tackling such large themes, and the artists involved really delved into their imaginations to explore the impact of climate change, and also the positive impact we as humans can have on it in our every day lives. The Fijian Minister for Women, Children, and Poverty Alleviation, Mereseini Vuniwaga said on the exhibition, that climate change and its diverse effects present a huge challenge for people all over the globe, but in Fiji the threat is particularly distinctive and urgent. She said that the Pacific Islands contribute little to the building threat of climate change, yet they are likely to suffer the most. The islands have already been subject to cyclones, storm surges, irregular rainfall, and of course, coral bleaching. One of the most revered exhibits were the Masi Scrolls which contained messages from members of the public young and old to the world leaders attending the UN Climate Change Conference in November. One message read ‘we only have one earth, let’s leave it better than we found it’. These scrolls were presented to the Executive Director of COP23 Presidency Secretariat John Connor. Which just goes to show that the art world can have a say in these globally challenging events. Masi comes from the Paper Mulberry Tree, and as a resource, is most precious to local Fijians, which in itself was symbolic. Fijian art has always been closely aligned to nature. 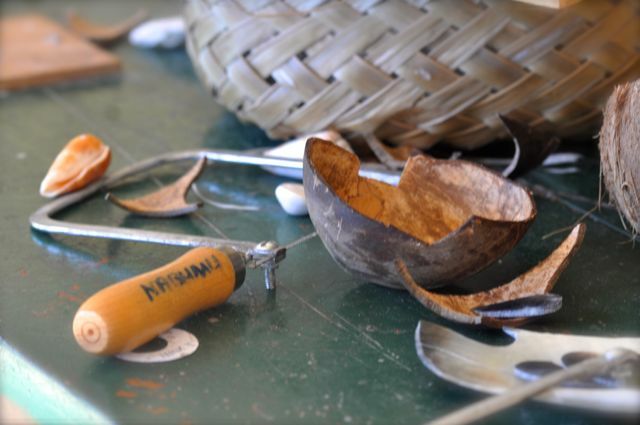 Artists in the Pacific Isles are famed for their innovative use of natural materials, which is one of the things we here at IS love about the culture and the country. 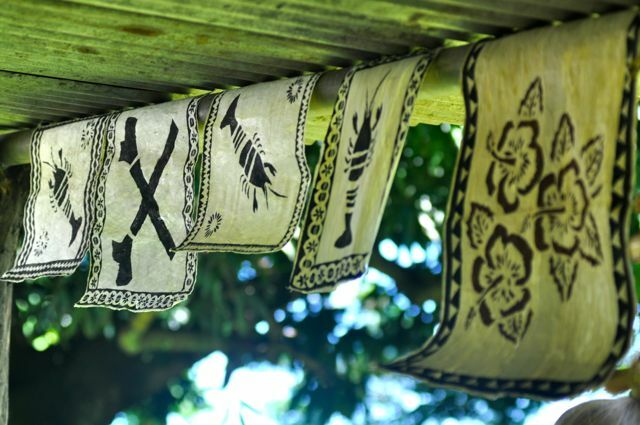 Whether it is weaving, carving, lashing, or printmaking, the Fijian artists utilise some of the beautiful natural materials available on the island. Artists often engage the community in their work too which makes it all the more special. For example, one group of artists led a climate change program in local schools to show them how to make art out of rubbish. Reduce, reuse, recycle! Other examples of climate change art include the Cli-Mat installation, and the fish sculpture that was build on Bega Island, as well as paintings that reflect how the particular artist feels about the impending risk of climate change. These projects all demonstrate how art reflects the world around it, and how humans can influence change through culture and technology. It is always huge world changing events that inspire artists the most, and it is fantastic to see some creative goodness come out of this overbearing threat.